Tennessee lawmakers will kick off the 111th General Assembly, ushering with it a new governor and a freshman class poised to tackle the state's most high-profile issues while also setting the budget. 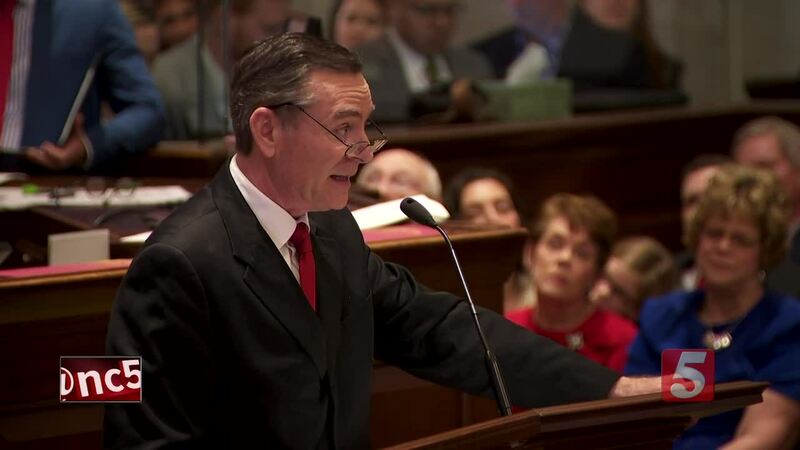 NASHVILLE, Tenn. (WTVF) — Tennessee lawmakers will kick off the 111th General Assembly, ushering with it a new governor and a freshman class poised to tackle the state's most high-profile issues while also setting the budget. The new house leadership includes House Speaker Beth Harwell who will transfer her authority to Glen Casada. Casada was elected to the position in caucus elections in 2018. There are a large number of freshmen lawmakers who are also sworn in. Though it won’t happen Tuesday, Governor-elect Bill Lee will be inaugurated on Jan. 19, replacing Republican Gov. Bill Haslam. We know of several bills that lawmakers either plan to file or have already filed for consideration. Once again, a medical cannabis bill will be written and submitted by Senator Steve Dickerson. A bill that would legalize sports gambling in the state and a resolution that would recognize teen suicide as a problem in Tennessee are both up for discussion - both of which bills have the same sponsor. The session is scheduled to last several months as bills make their way through committees or are changed and potentially deferred.